Many of Australia's ecosystems are in a much worse condition than we think. This is because officials are measuring the health of ecosystems such as forests and woodlands by their size, instead of how damaged they are by disturbances. A "disturbance" is a short-term change in environmental conditions that leads to a long-term change in an ecosystem. Some habitat disturbances are natural, such as some fires and extreme weather events. Others are created by human activities, such as logging, pollution, intensive grazing, and mining. Frequent or intense disturbances generally pose a bigger threat to the health of an ecosystem and it's not limited to the area of the ecosystem that is lost. This is because the quality of the vegetation that survives a disturbance, such as a fire, may be too low to support the animals that rely on it for food and shelter. 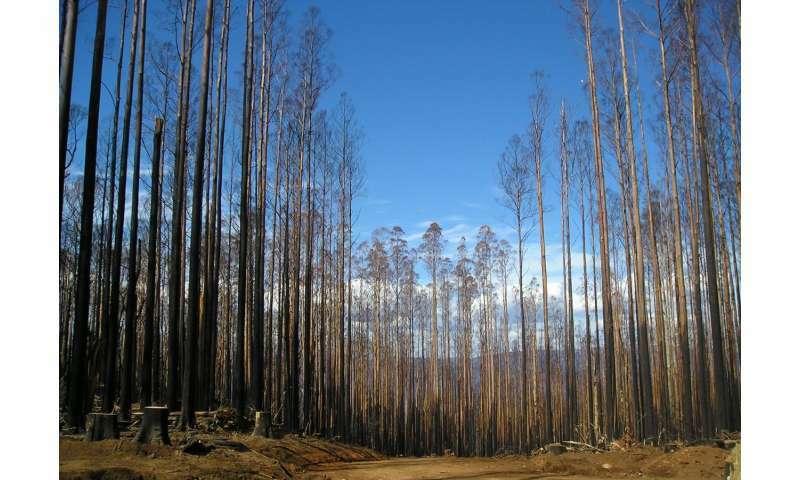 Fires are a common and dangerous disturbance to many Australian habitats. The number of bushfires per week in Australia increased by 40% between 2008 and 2013. Increases in the frequency of fires due to human activity have led to the decline or extinction of more than 100 species and declines in at least 29 threatened ecological communities listed in Australia's Environment Protection and Biodiversity Conservation Act 1999 (EPBC Act). We made this discovery by assessing "whole-of-ecosystem degradation". This calculation is a two-step process. First, we observe the different ages of the vegetation, known as their "age classes", in an area. Then, we compare how far the current distribution falls short of the ideal distribution of the group of plants that make up that vegetation community. Some species (such as large trees) require long intervals between disturbances to allow them to have time to mature and reproduce, so their "ideal" age class distribution will have many old plants and fewer young plants. Other species (such as some fast-growing shrubs) prefer short intervals between disturbances, and their ideal age class distribution will have more young plants than old plants. 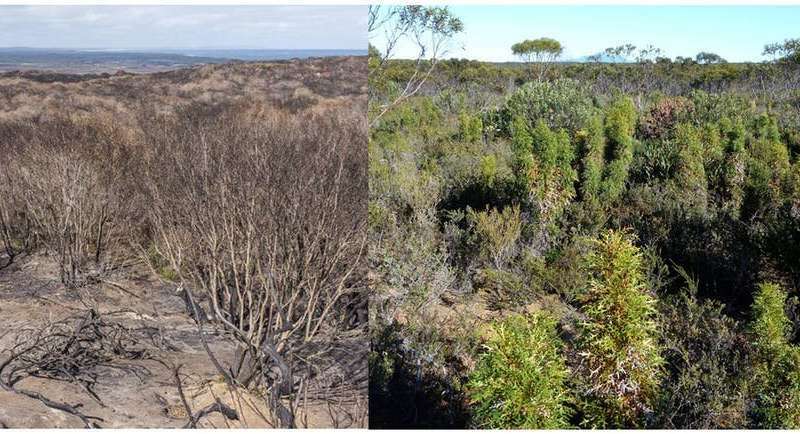 We used this approach to look at the dominant plants and animals in two vegetation types: the protea-rich mallee-heath of southwestern Australia, and Victoria's mountain ash forest. Our research shows that measuring an ecosystem's health by its size alone can be misleading, especially when the area is large but severely degraded.